Looks like a '73 with a big block. Congrats!!! Joe73 wrote: Looks like a '73 with a big block. Congrats!!! I like that set up. Congrats man! Here she is! 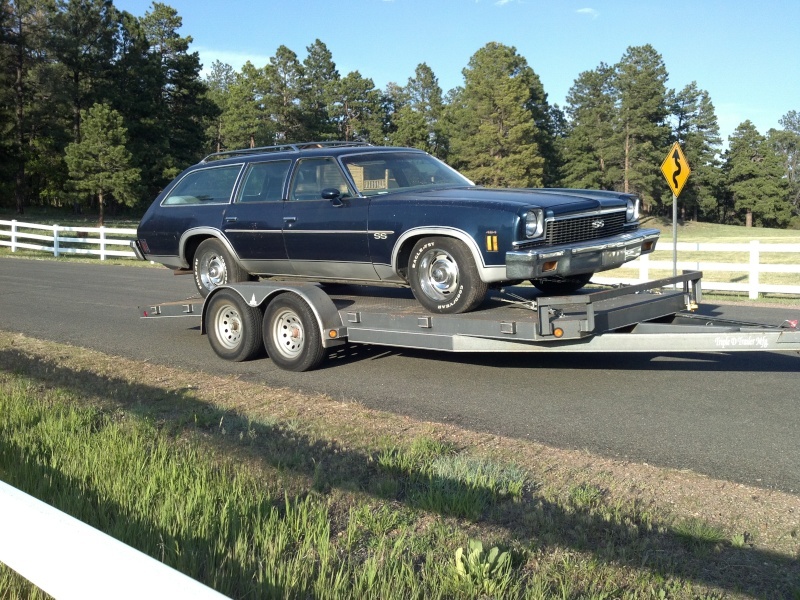 A big block 1973 SS Wagon, all original exept for the air cleaner and wheels/tires. 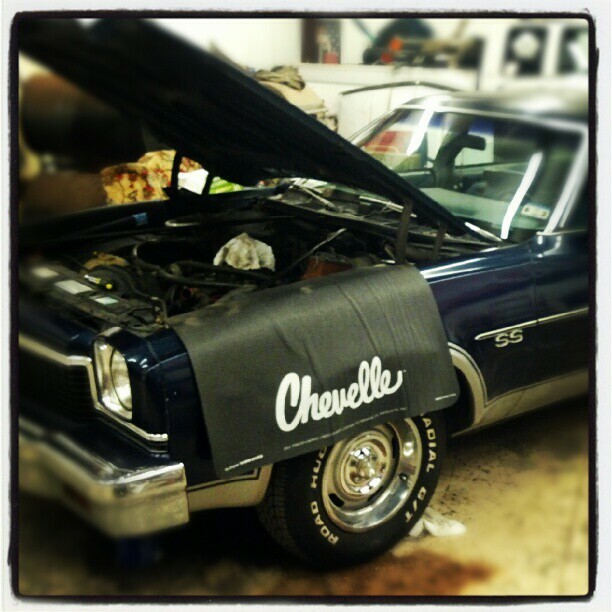 Very, very little rust and a strong 454 under the hood. I am on cloud nine right now! That's a sweet ride, my friend! Love the Laguna style striping around the wheelwells and along the bottom! Supposedly, there's one of these just sitting up here in MN...but, the guy won't part with it. Hey neat !! Good luck with it ! I was also going with 73 based on the inner fenders, but didn't expect a wagon. Let alone an SS wagon. Congrats, and good luck with her! Woow That's a beauty ! That car is fantastic! The wheels and tires might not be original, but they definitely work on that car! Getting the wagon ready for the local annual cruise, changed the water pump, thermostat, radiator hoses ( I can't believe the old ones held any pressure! 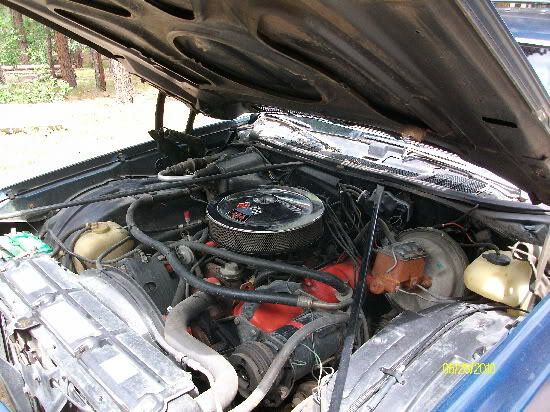 ), put on a new 6 blade fan and eliminated the fan clutch, and added an aftermarket temperature gauge. Now I just need to change the oil and do a little detailing and get you guys some more pics. Oh, window tint is in the very near future also. Why'd you take the clutch fan off? Just curious. I know that 7 bladed stock one that mine has is a power robbing sob when its engaged on the little 305, with the AC running in 107 degree weather. Cool find! 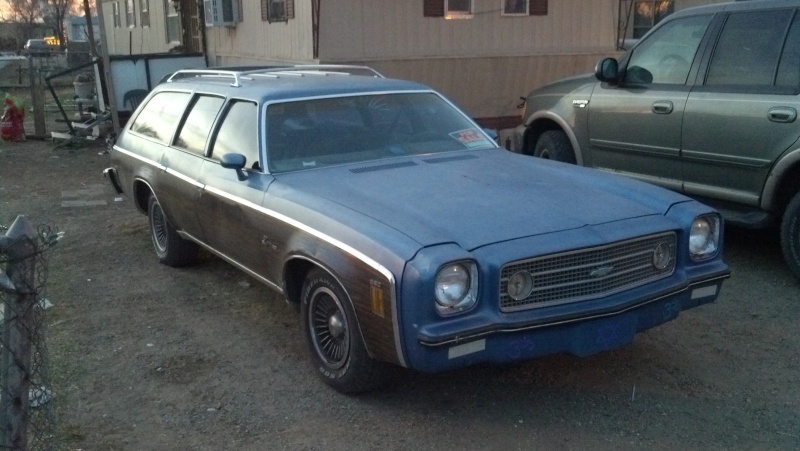 I'd love to have an SS wagon. Nice SS wagon. Great to see them still out and around from time to time. I hope I get my completed one of these years. I had a great time with my Dad's in high school and even ran pretty good for the time again my buddies parents' cars. Used to have a registry dedicated to them years ago but never kept it up. Look what I found today! Working on a deal to buy it! The interior is in near pristine condition! Lucky!! All I can find are sedans and Elcos. Great find! That thing would look totally awesome with the paint polished up and some Pro touring type wheels and then off to the Power Tour! Wood paneling is starting to trend a bit too! I believe the Laguna wagons are rarer than the Malibu's. I think the Deluxe wagons are even rarer. » Selling one of my mares-New pics added!